Do Vitamins for Weight Loss Help Fight the Battle of The Bulge? Do vitamins for weight loss really work? Losing weight can be difficult, but the advertising claims on weight loss products make it seem as easy. Knowing which natural supplements and vitamins for weight loss work and which ones don’t, can be tricky, because there is very little regulation of weight loss products. So what is the best weight loss product for you? Many companies say that their weight loss products are natural when in reality they contain very little if any actual natural ingredients. And you need to keep in mind that natural does not always mean healthy. Cyanide, for example, is natural but it can also kill you! 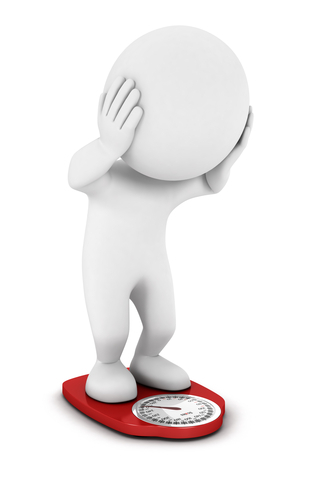 Independent tests have shown that most of the quick weight loss supplements and vitamins for weight loss advertised on TV really do nothing at all to help people lose weight. 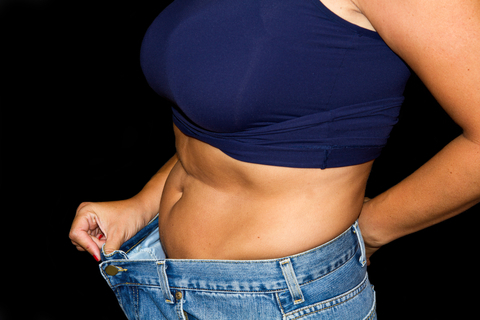 Yes there are natural foods and herbal supplements that will help you lose weight. But without a lifestyle that includes a good diet and exercise, you are unlikely to keep the pounds off. And for that you need a supporting mind set which is what my platinum weight loss program helps you achieve. Before choosing herbal supplements or vitamins for weight loss you need to look at the cause of the problem. For example, if you've gained weight because of stress, hormonal imbalances, anxiety medication or lack of exercise motivation, your best bet is address THOSE problems first. Review the list below for the best weight loss products to supplement your healthy diet and exercise program. Do you notice anything interesting? Grapefruit is packed with nutrients and antioxidants that will help you stay healthy. They are low in calorie and high in fiber. Grapefruit also contains a natural enzyme that tells the body to start burning fat for energy. It’s been proven that eating a grapefruit everyday will help weight loss. The vitamins and minerals in grapefruit are also great for keeping your body healthy. 5-HTP is one of those natural weight loss pills that can in fact be helpful for reducing appetite, especially if you tend to be an emotional eater. Made from the Griffonia simplicifolia plant, 5 HTP helps produce Serotonin, which is responsible for a general feeling of happiness and well-being. If the body isn’t making enough Serotonin you can lose sleep, gain weight, become depressed, and develop many other health problems. Taking a 5-HTP supplement gives your body what it needs to create more Serotonin which can help increase weight loss. 5-HTP is also recommended as a treatment for anxiety disorders and depression. Green Tea and Green Tea extract have been proven to help boost weight loss when combined with a healthy diet and exercise. In 2008 a study published in the American Journal of Clinical Nutrition found that Green Tea and Green Tea Extract accelerates weight loss and helps maintain healthy blood sugar levels. People in the study who were given Green Tea Extract lost an average of 3 pounds more than the control group who lost weight with just a healthy diet and exercise. Apple Cider Vinegar, which is often referred to as ACV, has been the darling of the health and wellness scene for a long time which makes some people question whether or not it works. ACV has been taken as a tonic since the days of the ancient Romans to heal all sorts of health problems. Apple Cider Vinegar is known for maintaining a healthy balance in the gut and intestines, which can help with weight loss. ACV also is an anti-bacterial agent and can clear up yeast overgrowth which can cause weight gain and obesity. The acidity of the ACV also regulates blood sugar levels. Taking just a teaspoon or two of ACV each day can help you lose weight naturally and keep your body healthy.